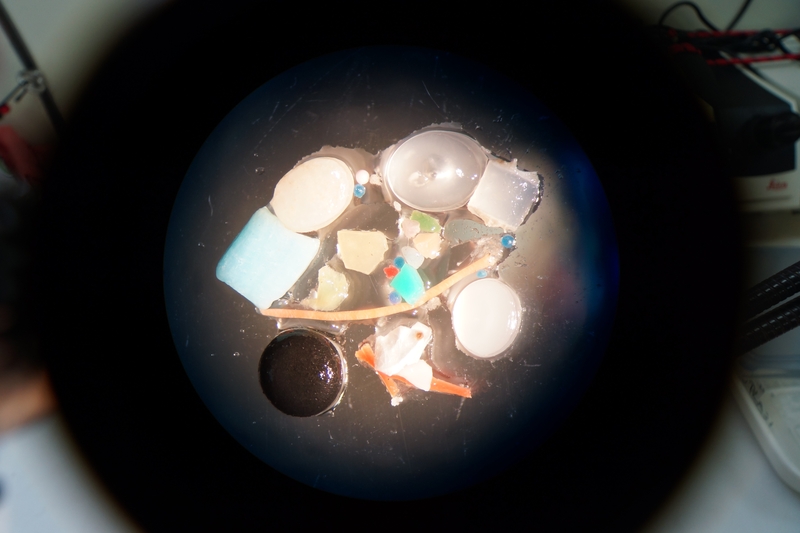 Even as Arctic sea ice melts, scientists are finding more microplastics in it than ever before — more than half of which is small enough to easily be ingested by microorganisms. Plastic products have become an essential part of our lives, but it is time to reconsider their often uncritical use. Unlike wood, plastic products do not rot quickly and depending on the material can take up to several hundred years, to decompose completely. An ordinary six-pack ring can take about 400 years to decompose. Accordingly, it is not surprising that we at the Alfred Wegener Institute, Helmholtz Centre for Polar and Marine Research in Bremerhaven, Germany, have found more than 12,000 microplastic particles per liter of sea ice in Arctic sea ice — more than ever been found before. Microplastics are tiny plastic particles, fibers, pellets and other plastic fragments that we can hardly see with the naked eye. A considerable amount of microplastic is released directly into the ocean by the gradual deterioration of larger pieces of plastic. But microplastics can also be created on land — for example, by laundering synthetic textiles, particles of which find their way into the ocean through sewer networks. The particles are only a few micrometers — the thousandth part of a millimeter — up to a maximum of 5 millimeters in size. 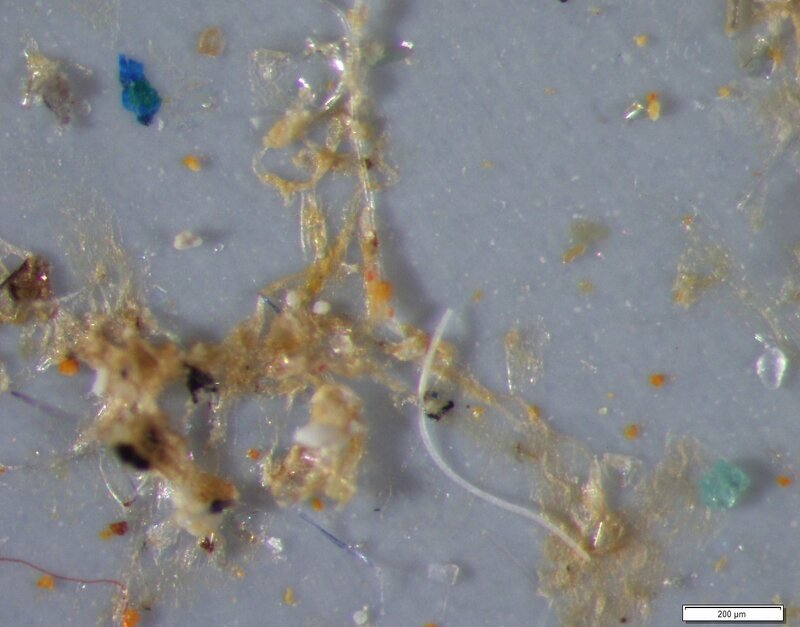 The microplastics we have found came mainly from packaging materials such as polyethylene and make it clear that these consumer products are transported over a long distances by the ocean currents. We have also found relatively high proportions of cellulose acetate, indicative for cigarette filters. This shows once again how quickly flicked away cigarette butts can leave a footprint even in the Arctic. Since large fractions of the sea ice are melting — for example at the outflow gateways of the Fram Strait — sea ice can only be considered as a temporary sink for microplastic particles. Given the ongoing decline in sea ice, the release of microplastic might accelerate in the future. If these potentially released marine plastic particles are sedentary or remain and accumulate in Arctic waters or are transported to lower latitudes still needs to be studied. More than half of the microplastic particles trapped in the ice were smaller than a twentieth of a millimeter and can therefore be easily absorbed by Arctic microorganisms. This is very worrying since we do not know whether these tiny plastic particles harm marine life or even endanger humans through the food chain. In the worst case, we would get our carelessly discarded plastic back on the table in the form of seafood. Thus it is time to reconsider our consumer behavior. We should scrutinize the use and handling of many disposable products such as shopping bags, coffee to go, packaged fruit and vegetables and cigarette butts. In addition, to enhance the information of consumers, campaigns such as “Citizen clean up” and particular teaching young children are very good initiatives to make the problem visible. In addition to us consumers, politicians should actively implement guidelines to protect the oceans from packaging waste. In the interests of environmentally conscious customers, the packaging industry will hopefully quickly convert its product range to more easily degradable materials and thus all together will give us hope for a less polluted ocean in the future. Ilka Peeken is an expert in marine biology currently working at the Department of Polar Biological Oceanography, Alfred Wegener Institute Helmholtz Centre for Polar and Marine Research in Bremerhaven, Germany. She studies the effects of environmental changes on Arctic marine ecosystem, particularly on organisms living in sea ice, and presented her findings Wednesday at Arctic Frontiers 2019 in Tromsø, Norway.